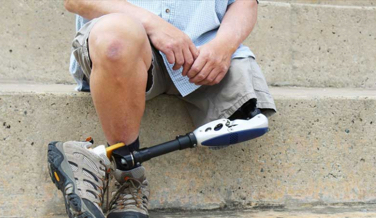 Our Philadelphia amputation lawyer represents clients who suffered limb loss due to serious accidents, medical malpractice, and defective products. Amputation cases handled by a Philadelphia amputation lawyer frequently involve limb loss/amputation resulting from traffic and other types of accidents. In some cases, an amputation may occur during an accident. In others, the amputation may result from an infection that develops following an accident injury. Did you or a family member suffer an amputation due to an accident, a defective product, or medical malpractice? Our Philadelphia amputation lawyer can help you obtain the compensation you deserve. Contact us today for a free case evaluation of your case.